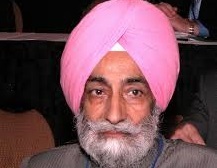 Farmers' "indirect tax" crossed Rs 2 lakh crore per annum, says farmers' leader, calls agriculture a "tyrant vocation"
Well-known farmers’ leader from Punjab Bhupinder Singh Mann has said that the proposal of the Narendra Modi government, to impose income tax on agriculture, will “bury the already dying agriculture”, saying it “exposes” the anti-farmer mindset of the Government of India. Among important recommendations, the Swaminathan commission report, given to the Government of India a decade ago but remaining unimplemented, had said that the minimum support price (MSP) should be the total cost of production plus 50 per cent, even as the a UPA panel had recommended a margin of about 10 per cent more than the cost of production. The report had said that there is no other profession which has such low return, calling farming as “the riskiest profession in the world due to uncertain weather conditions arising from climate change”. Insisting that agriculture is the major livelihood source in India, the report had particularly wanted to “bring small farmers out of the poverty trap for ensuring sustainable food security." Policy makers under the NDA government under Prime Minister Narendra Modi, however, have been insisting that the nation’s progress lies in migration of the rural population to urban areas by developing industry and service sector, which have a much higher rate of growth than agriculture (click HERE).